Fleurs de Nuit is Badgley Mischka’s second offering to the fragrance world and I’m a little embarrassed to admit that it only came into my radar because of the over-decorated bottle. I’m a sucker for packaging. In Bottle: Citrus up top with a layer of fresh jasmine. Clean and easy. Applied: I get the initial sweetness of the quince, fruits, and bergamot then it’s a nosedive into the jasmine mid-stage where a cleaned up, groomed, and pampered jasmine note makes the scene. 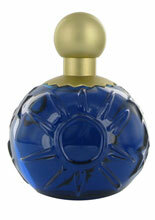 Fleurs de Nuit–which I’m guessing is a homage to night-blooming jasmine, takes a fresh, clean approach to the note. It’s fruitiness remains in the background, giving jasmine most of the space as some flimsy orange blossoms try to temper the scent. The dry down gets a bit of an amber edge, warming the scent up to be a fading jasmine creamy amber scent. If there were woods in this, I didn’t get any. Extra: Fleurs de Nuit was released in 2007 by the perfumer, Rodrigo Flores-Roux who lent his talents to Peace, Love and Juicy Couture, True Religion, and Clinique Happy. Design: Slap a floral pattern on something and you probably have my attention. 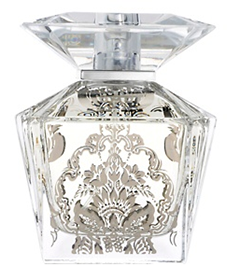 The bottle itself is kind of cute, has a nice weight to it and generally looks good sitting out–too bad I don’t leave my perfumes sitting out on my vanity. It’s a little more overdressed than I usually like my bottles, but it’s a good kind of overdressed. Notes: Bergamot, quince, magnolia, peach, orange blossom, jasmine, amber, woods. Overall, I wasn’t that impressed with Fleurs de Nuit. It does fruity, fresh jasmine very well but smells somewhat generic and safe. If I want a more exciting jasmine, I’m better off elsewhere. If I want safe, I could do worse! Reviewed in This Post: Fleurs de Nuit, 2012, Eau de Parfum. I love a good fruity floral sometimes. A well composed one that has all the hallmarks of a fruity floral fragrance without being way too popular or way too complex. In Bottle: Fresh, clean and fruity. It’s sweet, but doesn’t overdo it on the sugar. Applied: Bellini opens with a lush tropical scent that embodies the idea of a bellini cocktail. It’s lush, it’s juicy and very fruity. It reminds me of summer in the middle of November and has this hint of faux coconut and pineapple that does that, “Summer! The beach! Tropical paradise!” Chant to me. There’s a lighter layer of florals that rolls in after the first stage and settles into this gentle, refreshing midstage that makes me feel like I just stepped out of the shower to a waiting cocktail in the midst of a tropical island. The dry down is a clean sandalwood and white musk with a hint of cool amber. Extra: I feel a little like I missed the summertime and these days I’m playing catch-up with Bellini here. Maybe some day I’ll actually vacation on a tropical island and I’d be tempted to wear this. Bellini is quite the embodiment of a tropical vacation. Design: The cap is a bit uninspired, but the fragrance is what it is. The packaging for the bottle itself is quite minimalist, with a bell-shaped bottle, featuring the house name and fragrance name on it. The cap is your standard tall, gold metal. The box, on the other hand, has a rather cute bow adorning it. Something about me and bows, I suppose. Overall, not bad, not very exciting but it does the trick. 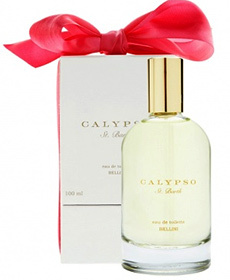 Notes: Citrus, peach, coconut, pineapple, , frangipani, freesia, jasmine, orange flower, amber, musk, sandalwood. Bellini is neither interesting or exciting. 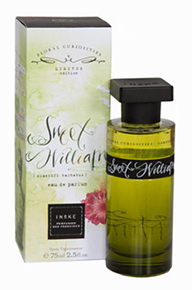 It is very safe, and it’s one of the better composed fruity floral fragrances out there. I quite like it. And if you like it too, but can’t see yourself wearing it, it comes in a candle form. 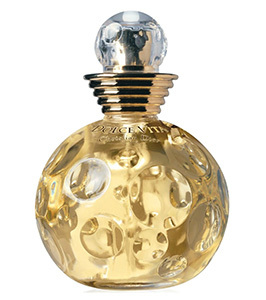 Reviewed in This Post: Bellini, 2012, Eau de Toilette. M. Micallef‘s Vanille Fleur blends a fruity peach opening with a feminine rose and vanilla. I was particularly excited about this one because Vanille Orient and Vanille Marine worked out pretty well on me. In Bottle: Vanille Fleur opens up with a fruity floral beginning that reminds me quite a bit of something that I hadn’t put my finger on yet. Applied: After spraying Vanille Fleur the fruity peach opening blends rather well with the florals. It took me a couple of minutes before I realized what this reminded me of: Gucci Flora. The opening for the two of these are extremely similar with Vanille Fleur being a little smoother around the edges. It takes away the slight sharpness that Flora had in the beginning with the citrus. The peach note does a better job at rolling the rest of the scent into its midstage than Flora’s citrus opening. The fragrance as a whole is very reminiscent of Flora but has a nice smoothness to it and a slightly more prominent rose note. Overall, the similarity is there to me, but Vanille Fleur smells more refined. The vanilla does a great job sweetening the scent and providing a nice base for Vanille Fleur. It’s a very simple fragrance, and its similarity to Gucci Flora starts disappearing near the end of its midstage where the vanilla becomes more prominent and the rose starts to give way. At the end, the vanilla takes on this faint lilting quality that’s very nice to smell close to the skin. Extra: As with all the other vanilla-based fragrances in this collection, you can find Vanille Fleur available on Luckyscent in either 50ml EdP or 100ml EdP. Design: Vanille Fleur is packaged much like the other vanilla fragrances in this series. The defining differences are the shapes on the bottles, where Vanille Fleur features a flower cut out of hemp. Due to its similarity to Gucci Flora, I’m less impressed with Vanille Fleur compared to Orient and Marine. It is still a perfectly lovely scent, and I really like Flora, but the initial similarity underwhelmed me a bit. Reviewed in This Post: Vanille Fleur, 2012, Eau de Parfum. With a weather related headache, I had to question whether it was a good idea for me to test another Sexiest Fantasies fragrance from Parfums de Coeur considering the last fragrance I reviewed from them gave me a headache. In Bottle: Very sweet, very peachy and fruity with an equal part vanilla and not a whole lot else. Applied: Super sweet peach and vanilla. The vanilla gets even stronger as the fragrance ages until all you smell is pretty much synthetic vanilla with a fruity background. I’m not getting much else but fruity vanilla out of this which is a bit of a disappointment. In terms of individual notes, they’re all drowned out by the very strong vanilla. The dry down ends up as a plain old synthetic vanilla fragrance. Extra: Fireworks and a lot of the other scents I have in this line are just body sprays. Fireworks, itself, is very strongly scented so don’t feel that a body spray won’t last as long or be as strong as a full on fragrance. This particular scent can hold its own in terms of longevity and power. Design: Packaged in a simple black bottle. No frills or thrills here. It’s functional and tries to dress itself up a little, but it’s still essentially a body spray bottle. Not much to say about this one, it’s fruity and sweet and that’s about the start and end of it. It’s not my kind of thing as it’s too sweet and one-dimensional, but it will smell great to the right person. Reviewed in This Post: Fireworks, 2009, Body Spray. What struck me the most about Gucci Envy Me was the fact that the ad actually said it was supposed to appeal to “the egocentric and bold young woman”. I wasn’t aware being called egocentric was a good thing, but it’s evidenced in how well Envy Me did as a fragrance that people either don’t care, didn’t know, or actually found it appealing to be called egocentric. Color me confused. In Bottle: Sweet and clean fruity florals. Just about as standard a fruity floral as you can get. Smells good though. Applied: Pink pepper adds a bit of clean spice the fruity opening of this where I get a mixture of peach and mango that reminds me of an Herbal Essences shampoo. 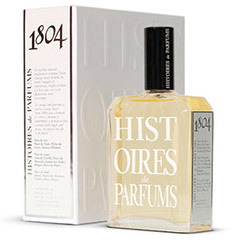 The fragrance evolves into this litchi note that dominates the beginning stages of the mid notes arena. Litchi tends to enjoy taking control of the show and I find the fruit note to be a bit unbearably sweet and pink and girly at times. Envy Me does a good job taming its litchi for the most part but it is still quite strong in the fragrance for a little while. As the scent continues to age, there’s a bit of perfumey woods going on as it blends in with the clean fruity opening while imparting this refreshing sense to it that I can only assume is the white tea at work. As Envy Me keeps going into its base, there’s a clear amping up of the soapy clean fragrance was present throughout the whole thing as the white musk takes hold of the pretty tame teak and sandalwood mix. At the base the fruits a little weak but I didn’t expect them to do anything else but fade as the fragrance ages on the skin. Overall, Envy Me was a pleasant ride. Starts off like a Herbal Essences shampoo and ends with a scented sandalwood fan fragrance. Extra: Not sure where they got the idea that this fragrance is bold and egocentric. It just smells like shampoo and cleanliness to me. It’s one of the better done fresh out of the shower smells in that it doesn’t abuse the florals but it’s still pretty generic. Design: Gucci Envy Me is bottled in a tall rectangular flacon with the signature Gucci pattern on the glass running all the way up the four sides of the flacon in pink. It’s a little ridiculous for my aesthetic but I can definitely see the type of image this fragrance is trying to project in its design choices. The bottle is a bit awkward to hold because it–like Givenchy’s Very Irresistible–is a tall and slender bottle that’s made of heavier material. 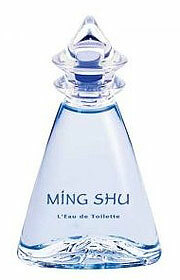 Notes: Peony, pink pepper, cassia, peach, mango, litchi, pomegranate, pineapple, sandalwood, white tea, teak, white musk. In a pinch, I’d reach for Envy Me to spritz on when I want to smell refreshed and clean. It’s a great out of the shower fragrance for if you want to hold onto that Herbal Essences smell for just a little longer. Otherwise, there’s nothing remotely bold about it. It sure is fun though. Reviewed in This Post: Envy Me, 2006, Eau de Toilette.